Ben Affleck’s first film as a director, 2007’s Gone Baby Gone, was adapted from a novel by Boston crime fiction scribe Dennis Lehane. A little less than a decade later, Affleck returns to Lehane with a drastically elevated status as a filmmaker, having subsequently made two hits for Warner Bros.—one of which, Argo, won the Best Picture Oscar a few years back. 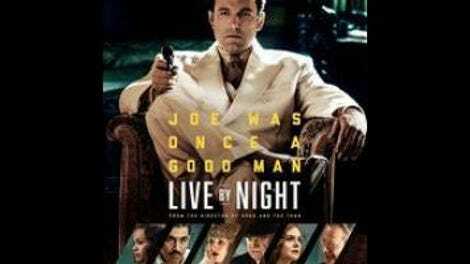 So far, all of Affleck’s films as a director mix pulp with prestige, and Live By Night is no exception. 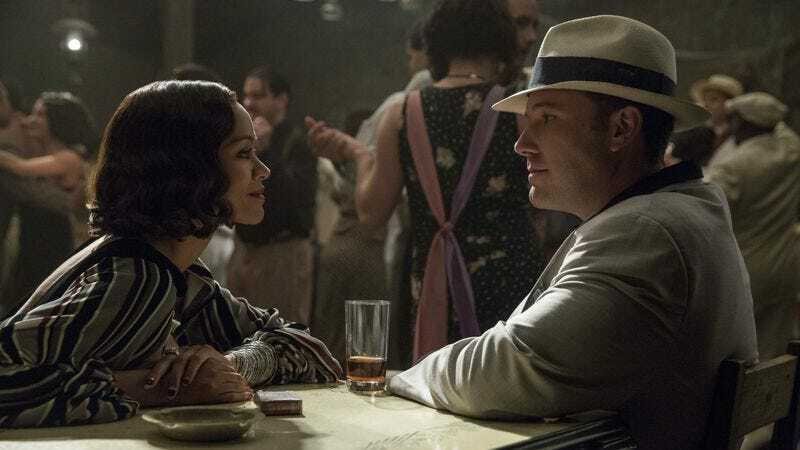 It’s a lavish, decade-spanning period piece about what amounts not to a stirring microcosm of the American dream but the petty criminal squabbles that decorate its story’s surface. What a surface, though: On a purely technical level, Affleck is only getting better. He and Warner both clearly see their relationship as a successor to Clint Eastwood’s longtime association with the studio, with their big star doing commercial work for his home base as the executives give him carte blanche to make “one for him,” as it were. (Eastwood’s level of pure autonomy may die out when he does.) But while Eastwood prides himself on not fussing too much with his classicism, Affleck has been taking on more, stylistically speaking. Here he’s hired Robert Richardson as his cinematographer (on the heels of the similarly impressive Rodrigo Prieto and Robert Elswit) to capture both deep black shadows and streaming sunlight in the movie’s prohibition-era setting, using digital cameras high-def enough to reasonably simulate the textures of real film. It’s not just the movie’s color and texture (and costumes and sets) that look great, either. Early in the movie, when stick-up artist Joe Coughlin (Affleck) robs a mafia poker game, Affleck captures the entire sequence in a single take, his camera circling the table before heading for the exit with his outlaw heroes. Much of Live By Night consists of conversational confrontations between gangsters and various frenemies, but it’s punctuated by strong action sequences (including a car chase made excitingly sloppy by unreliable ’20s automobiles) and crisp guys-getting-killed montages. The smoothness of the movie’s individual sequences bumps up against narrative raggedness, as Affleck labors to compress a sprawling, novel-ready narrative. The opening half-hour zooms through a lot of plot: Coughlin’s return Stateside from World War I, his quick turn to a life of non-lethal crime, his love for mob moll Emma Gould (Sienna Miller, hiding in plain sight with heavy eye makeup and an Irish brogue), an attempt at one final score, a stint in prison, and the beginnings of a revenge plot. When Coughlin emerges from the joint, he volunteers himself and his right-hand man Dion Bartolo (Chris Messina) to work for the Italian mob in Florida. Soon they’re holding steady down in Ybor City, presiding over the illegal but unprosecuted rum business. Coughlin also hooks up with Graciella Suarez (Zoe Saldana), the sister of one of his business partners. Unfortunately, the initially interesting Graciella becomes an accessory almost as soon as they clinch. The vanity of this characterization sometimes manages to be amusing, rather than infuriating; it’s fun to watch Coughlin’s Florida operation bedeviled by the Ku Klux Klan, religious figures, other mob figures, and a general assortment of weirdoes, including a strong, small part for Elle Fanning. Thematically, these characters cast about for greater resonance. Affleck (via Lehane) seems to be getting at something about the immigrant experience, and the way some men attempt to make peace with their own crimes in the fight for survival in America. But Live By Night muddies the point with some underwritten material about fathers and sons. The movie even tries to engage with Coughlin’s more cipher-like qualities, but none of it quite sticks. In a way, this is preferable to Argo, which used its cleaner story to say relatively little. There’s certainly nothing wrong with Affleck’s insistence on making dramatic thrillers aimed at adults—his spending of Warner Bros. money on this goal may be the most Eastwoodian thing about him. Hopefully his Batman duties won’t prevent one of these “for him” projects from fulfilling the promise of Gone Baby Gone. Live By Night, enjoyable as it is, doesn’t quite qualify.